Despite rapidly changing trends in work styles, desks and tables remain a cornerstone to every productive office. 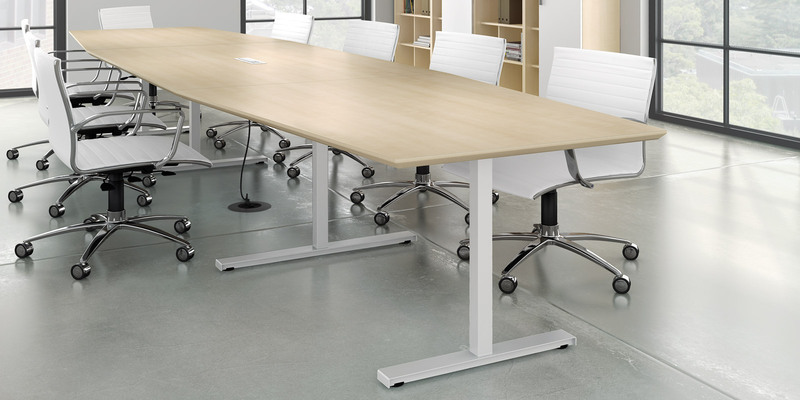 Seven meeting tables are designed to encourage interaction between team members and technology. 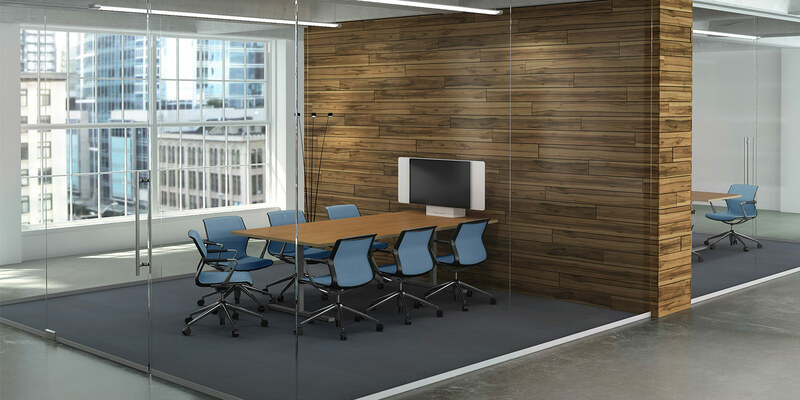 Engaging surface shapes with optional drop-in power modules create natural gathering points anywhere in the office. Seven is a comprehensive line of versatile desks and tables for individual and group work environments. 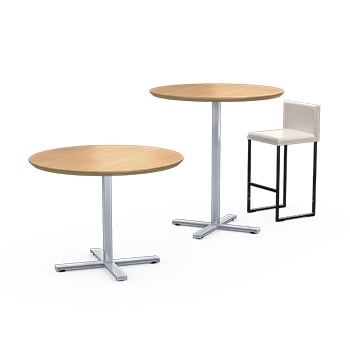 Square - Simple and functional, these cafe style tables flex seamlessly between the office and break out spaces. Round - For spontaneous or deliberate collaboration, Seven Rounds are available in sitting and standing heights. 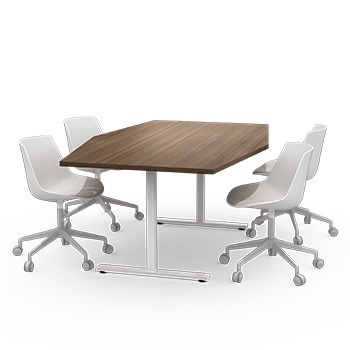 Hex - For small group meetings, hexagon tables encourage interaction between participants. We do things differently than our competitors - we build furniture that is more robust. We consider the user and their environment then challenge the limits for what is expected and accepted as standard within the industry. All wood composite substrate is locally sourced. In addition, all Watson components are tested against, and meet, BIFMA (Business and Institutional Furniture Manufacturers Association) standards for desk construction integrity, durability, and component function. In all cases, we exceed BIFMA standards. Table Base - Top support brackets are 12-gauge cold-rolled sheet steel. Vertical tube assembly is 2 x 2 inch (.125 inches thick) steel welded to the top support and foot. Glides are screwed into metal inserts that are welded into the foot. 1 _ Square steel support tubes are mounted to the underside of surfaces over 66 inches wide to ensure surfaces remain flat. Surface - Table surfaces are either composed of 1⅛ inches thick particle board finished with horizontal grades of laminate and synthetic edge banding or 1⅛ inches thick medium density fiberboard finished with horizontal grades of laminate and exposed edges finished with waterborne sealant. Surfaces are fastened to the legs with steel machine screws threaded into metal inserts on the leg assembly. Edge - The 90 Natural, N45 and Stretta edges are the greenest choices featuring an exposed MDF core, clear-coated with a waterborne finish. 90 Trim is a 1.5mm thick synthetic edge for the most compact profile. The 3mm thick synthetic 90 Plus edge provides softer visual weight and a more substantial ergonomic buffer.